Leprechaun: It's the seventeenth of March. The feast of St. Patrick. William O'Day: And your birthday. Leprechaun: 'Tis a special birthday for a leprechaun. I'm one thousand years old. Tonight, I can claim me bride. 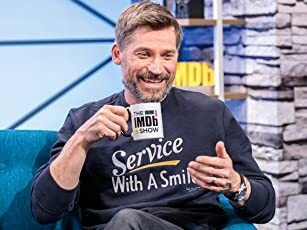 Q: Where is the movie supposed to be set? Q: Are the "Leprechaun" movies based on books? If you couldn't get into the spirit of the first one, I wouldn't bother with this one. The Leprechaun series is a special kind of series. I liked that they don't exactly follow the first one. The best comic books don't necessarily keep the same parameters; Silver Age Batman is not Christopher Nolan's. I liked that we are basically getting the same Leprechaun villain with a different back story and different powers/weaknesses. 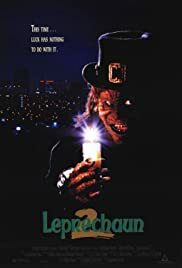 Leprechaun 2 has a couple of different things about it. I liked the fantasy based background story. The Leprechaun lore is explored in this one; it's more about the Leprechaun than the humans response to him. I'm willing to forgo the strangeness of a 1000 year old Leprechaun making his way from the Old World to the New World. I'm willing to forgo his adaptability to the ways of the modern world though he comes from the Dark Ages. I liked the silly rhyming lines spliced with unnecessary gore. It's nice to have some light- hearted comedy that takes me from point A to point B. Leprechaun is a threat, the good guys fight him, the story ends.